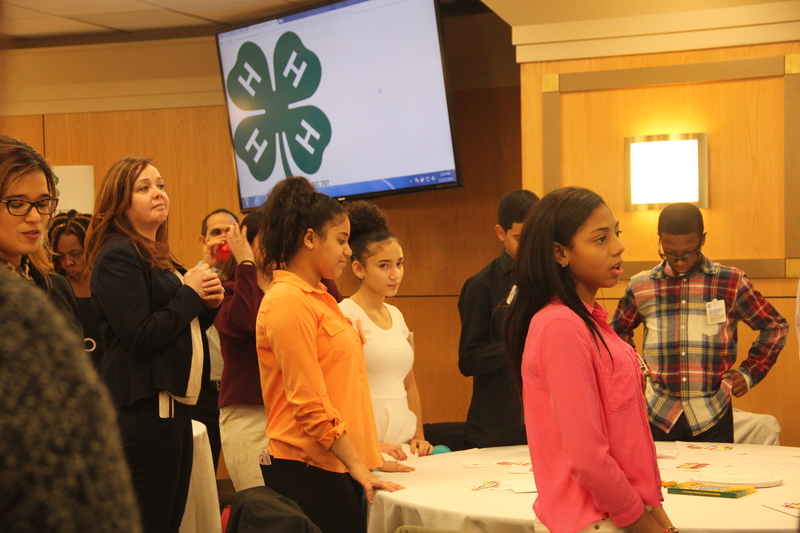 4-H is the largest national positive youth development and youth mentoring organization. 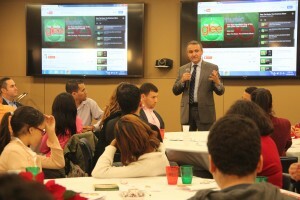 It empowers six million youth in partnership with 110 universities, including Cornell University. 4-H research-based programs are accessible in many ways such as via 4-H clubs and teen leadership groups. 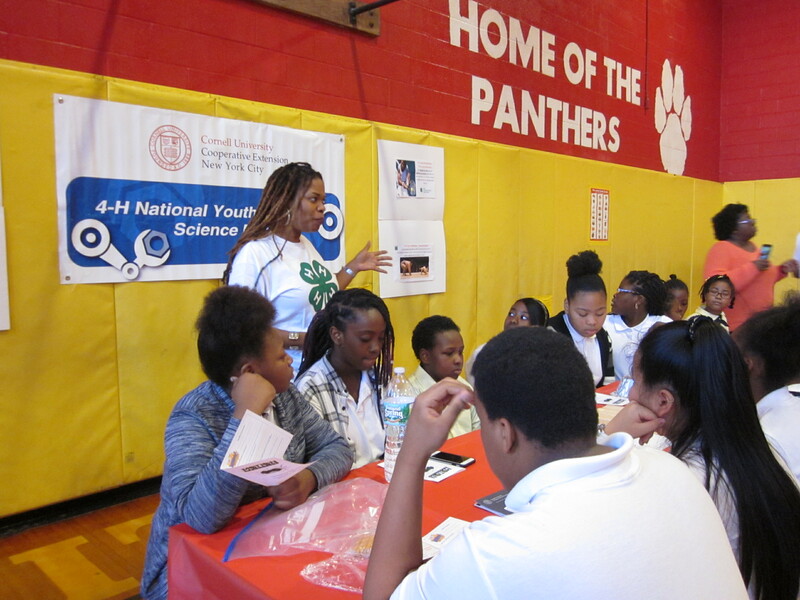 4-H programs engage New York City youth in projects and activities that help build skills in engineering, math, literacy, nutrition, health, STEM, civic engagement and leadership. 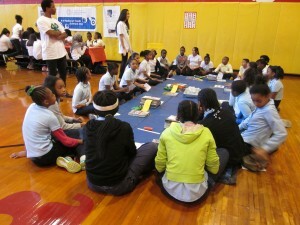 Take Cornell University’s research to New York City youth by engaging them in projects and activities. Help youth by involving them in hands-on activities and opportunities that encourage them to innovate. Build leadership skills, including public speaking, personal development, life skills, decision-making/problem-solving, self-management and citizenship. Connect youth to opportunities for exploring education & career options, service learning and internships. Provide training opportunities for club leaders, mentors, youth workers, & volunteers. 4-H clubs consist of 15 or more youth aged 8-19 who work with adult volunteers, which include teachers, youth workers, staff and parents. They work together on an ongoing basis to conduct projects and take part in 4-H activities. Club members organize, elect youth officers and plan programs based on the group’s needs and interests. Youth club officers conduct business meetings once a month. 4-H volunteers, teachers and agency staff run all clubs. Clubs work on 4-H projects related to nutrition & health, science & technology, environmental education, community development and citizenship. Youth have the opportunity to take part in local, state and national 4-H events. 4-H activities include trips, camps, conferences and recognition ceremonies. Complete at least one 4-H project i.e. science, health, civic education etc. Participate in two 4-H special events i.e. Public Presentation, National Youth Science Day etc. Schools, agencies or informal groups could organize a 4-H project without forming a club. These youth, aged 8 – 19, take part in 4-H project training and receive materials for a nominal fee. Youth may later join the 4-H Teen Leadership Programs or other 4-H activities. Special interest groups are particularly good for agencies looking to enrich their existing programs. The 4-H Teen Leadership Programs provides teens grades 9-12 with a set of marketable skills that position them to become leaders. Youth are engaged in activities that teach leadership principles, establish a sense of personal identity and respect for differences and work on service learning projects to address community issues and prepare for their futures. Youth participate in local, state and national 4-H activities and events i.e. Career Exploration (Cornell University), Citizen Washington Focus (Washington DC) and the State Fair (Syracuse, NY). 4-H conducts youth worker trainings in the areas of Positive Youth Development, STEM education, Healthy Living, civic education and leadership development. If you are interested in having onsite training for staff please contact us.